As a small business owner, the ability to make timely updates and changes to your website when needed is extremely important. Unfortunately, if you have limited technical knowledge or are not in control of your site, figuring out how to make the changes on your own can be extremely time consuming or very expensive if hiring an outside developer. For many business owners, hiring a developer to get their business online with the least upfront cost is the traditional route to take. This generally entails a static html, Front Page, or web host template site. The problem with this method is that although it’s possible to get your site built for a few hundred dollars, it’s going to cost you every time you need a change or update made, because you won’t have the ability or know how to make these changes yourself. So what seemed like a great deal in the beginning will actually end up costing much more in the long run. The second option is to have your site built using a content management system, or CMS. This will generally cost a bit more up front, but you should then have the ability to make updates and changes without the need to hire the designer/developer for each need update. Now, there are many fantastic CMS options available, including Joomla, Drupal, Expression Engine, Cold Fusion, DotNetNuke, Modex, Silver Stripe, and many others. The problem with most of these is the learning curve required to gain a functional understanding and ability to make the necessary changes is so great, that many will never even make the attempt for fear of screwing something up. 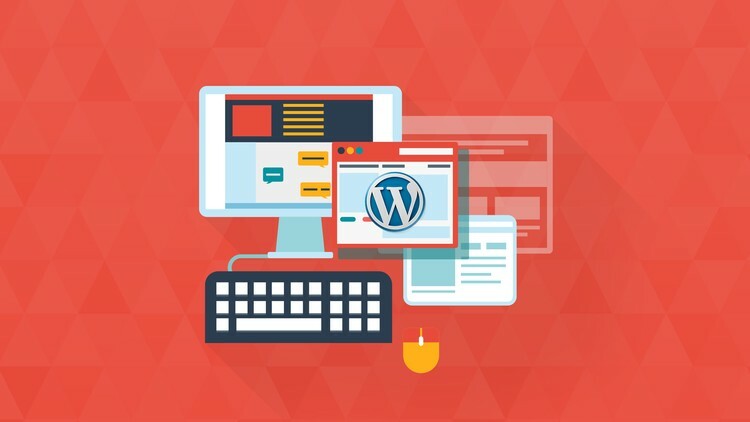 Originally created as blogging software, WordPress has become the de facto standard for many small business owners who need a quality website that’s attractive and easy to update. Currently powering almost 50% of all websites world-wide, WordPress offers many features that make it an ideal platform for the small business owner. WordPress offers an easy way to manage all of your website’s content without having to know any code, and doesn’t require any separate software or technical ability. Static pages, blog posts, media galleries, videos, resources, frequently asked questions, testimonials, web links, and more are easy to add, update, and manage through the WordPress dashboard. If you can create a word document, you can manage a WordPress site. Plugins are add-ons to WordPress that can add additional features and functionality. There are thousands of these to choose from, and are easy to use and implement. They can be uploaded and configured directly from within your site, and offer a quick & easy way to make your site even more fully featured without having to spend hundreds or thousands of euro on a developer. WordPress is the most out-of-the box search engine friendly software around. Once setup and quality content added, many sites begin ranking within days, if not sooner. There are many built in options that can increase the “Google juice” even more. Since WordPress was originally created as a self-publishing blogging platform, it is by far the best option to use for business blogging. Not only can you have business specific static pages, but the built-in blog allows the ability for dynamic blog posts to be created instantly. Themes are the skin that covers the WordPress software which is powering your site. They make it look good and provide many additional features to increase usability and function. There are thousands of themes to choose from, both free and paid, so it’s a good idea to find one that meets your specific needs. Since the theme is simply a skin covering your site, you can change the look and feel of it at any time, all without affecting any of your content. Most traditional websites don’t render that well on mobile devices, but WordPress does. With the addition of a mobile plugin or responsive theme, it can even display a more user friendly mobile version of your site. WordPress is free, open-source software. Since it’s open source, many people are constantly working to grow and improve it, which is fantastic! Want to see a few examples of fantastically designed WordPress websites? Then check out the website portfolio on this site.